The Transform n Play Table is a fabulous addition to any play room or activity area. Made of MDF, this hardy table transforms from an activity table to two different drawing tables. 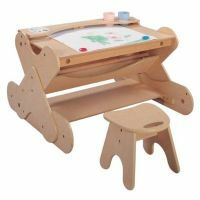 So whether your child is ready to draw, paint, or cut and paste, this is the perfect table to accommodate it all.